Ok, I have to admit - in the beginning, it wasn’t THAT easy to let go. But that’s because I was really a coffee junkie. I felt lethargic, grumpy and tired when I didn’t have my coffee and I knew that it couldn’t go on like that. Also, it kinda felt like I had to keep increasing my coffee intake to feel something, to get that caffeine rush… my body got used to it. I couldn’t focus at work and felt tired a lot. It was time to find a healthier and more effective alternative! Could this bright green, kinda weird looking powder really substitute my beloved coffee? The taste is different and not really comparable with coffee, but I actually really like the mildly sweet, leafy green tea flavour of the mix… but one question remains: did it really give me energy? After having my coffee I always often felt jittery (the usual caffeine crash)... and needed another one after about 1 hour. 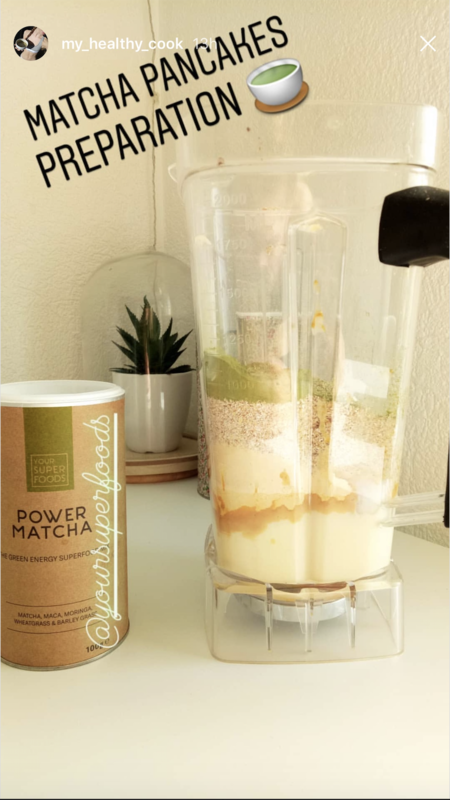 This doesn’t happen with the Power Matcha Mix! I feel energized for a longer time and it helps me focus… Did you know that Zen Buddhist monks used it hundreds of years ago already to optimize their focus during meditation? Pretty cool, huh! According to this study, the L-theanine and natural caffeine in matcha improve your focus, aid in multitasking and improves cognition time. Perfect for work! Plus, the L-theanine significantly increases brain-activity in the alpha frequency which help relax the mind and get into this ‘flow’ and calm state of mind (similar to when you are meditating) - read more here if you’re interested. Yes, I did my research on this topic! I like to keep it simple, so I simply mix 1 tsp of the mix with some almond milk. But I know that my co-worker sometimes simply shakes it in her water bottle when she is on the go. 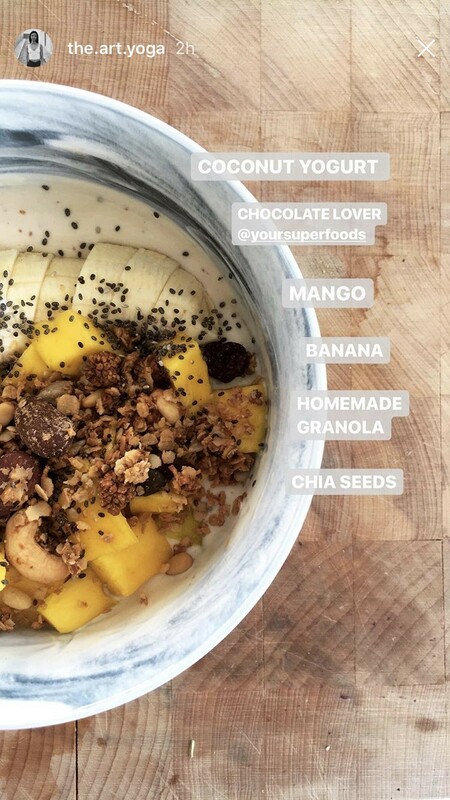 Or she stirs it into her porridge or smoothie… I might have to try this as I could definitely step up my breakfast game, too! 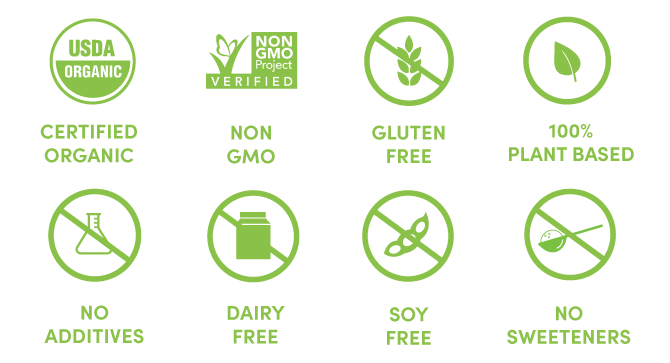 (2) and powerful nutrient-dense green superfoods like moringa, wheatgrass & barley grass - definitely a bonus as I don’t always manage to eat my daily greens (sorry mom)! 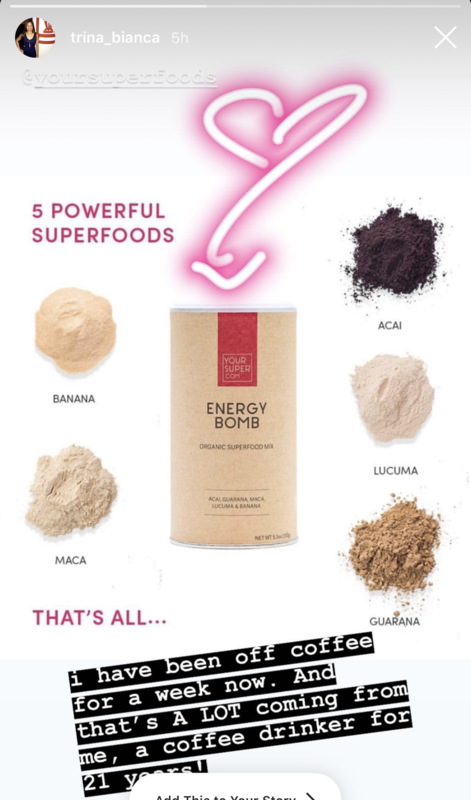 And that’s it - 5 clean superfoods, no sweeteners, fillers or additives needed. What I also truly love about the company is the founder story. Michael had cancer at age 24 and is now fully committed to making healthy eating easier… and Kristel grew up in a family of nutritionists and was always passionate about good food! 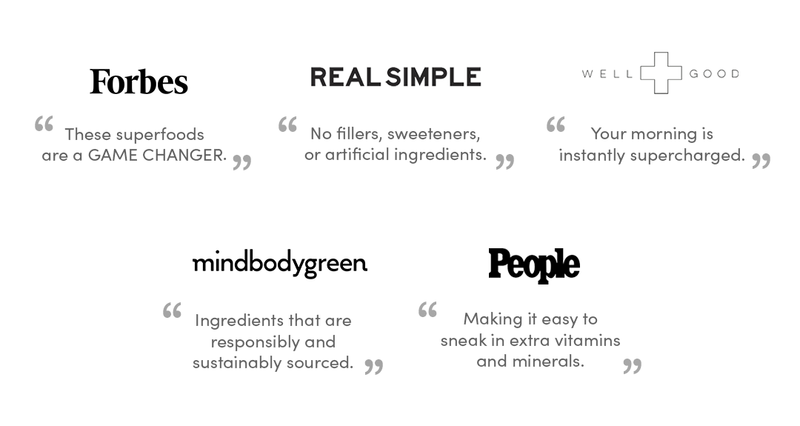 They are super picky with their sourcing, only use certified organic & non-GMO ingredients and give back to malnourished children around the world. Definitely something I want to support! soon, too :) This mix really changed my life and I know you still might be hesitant (I was too! ), but I really don’t want you to miss out on this. Did I mention you can try the mix for 30 days and if you don’t love it get a full refund? And yes, before you ask: I still enjoy a coffee here and there, because I like the taste - but on most days I rely on my Power Matcha Lattes in the mornings (or afternoons) and really feel my overall mood, health and energy levels have improved! I love it! P.S. Use the code ENERGY20 for 20% discount on your first Energy Bundle including our Power Matcha... (Psst... It's also valid on all other products in the shop!) click here to check the availability (as the mixes are often sold out)!